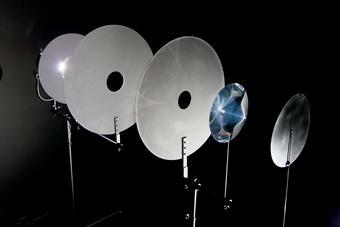 A spotlight shines on a glass prism. 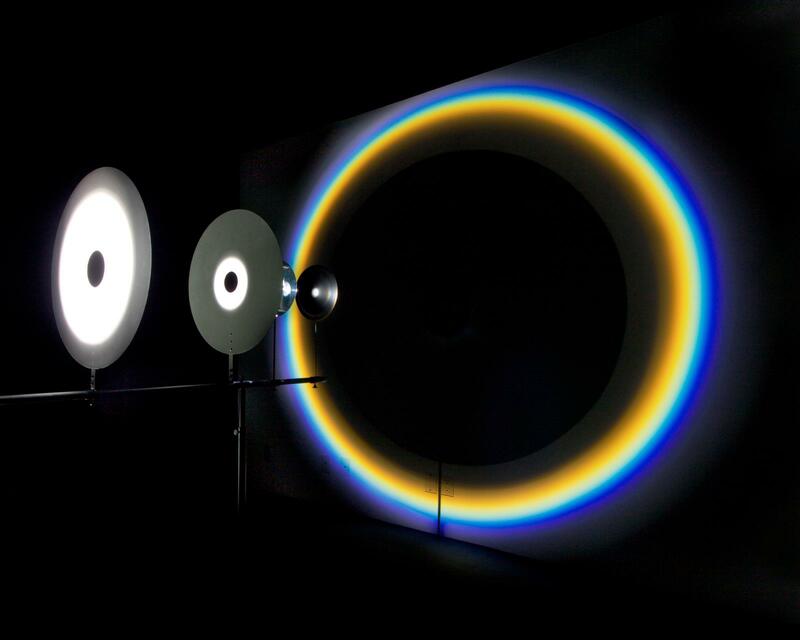 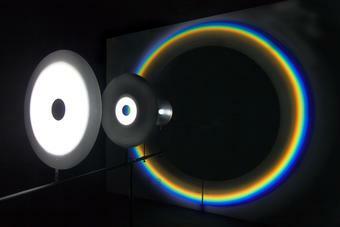 A series of three metal discs shades the prism from all but a circle of light. 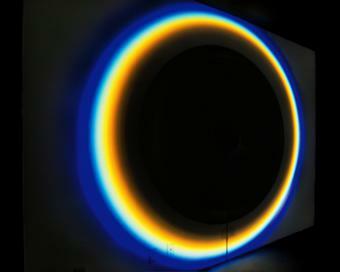 A fourth metal disc casts a shadow on the opposite wall that focuses the projection of light as a narrow ring of spectral colours.